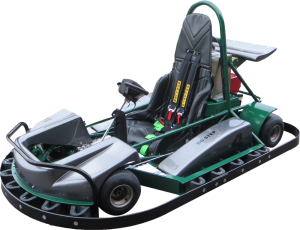 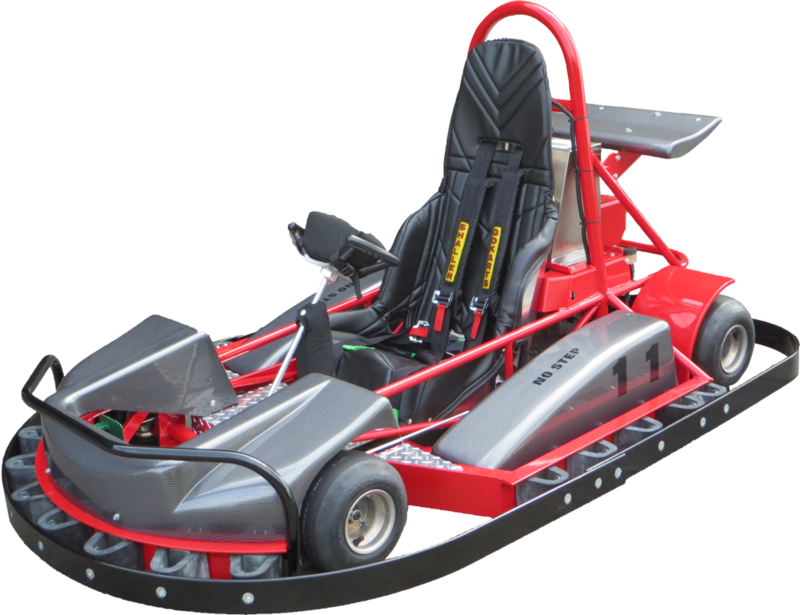 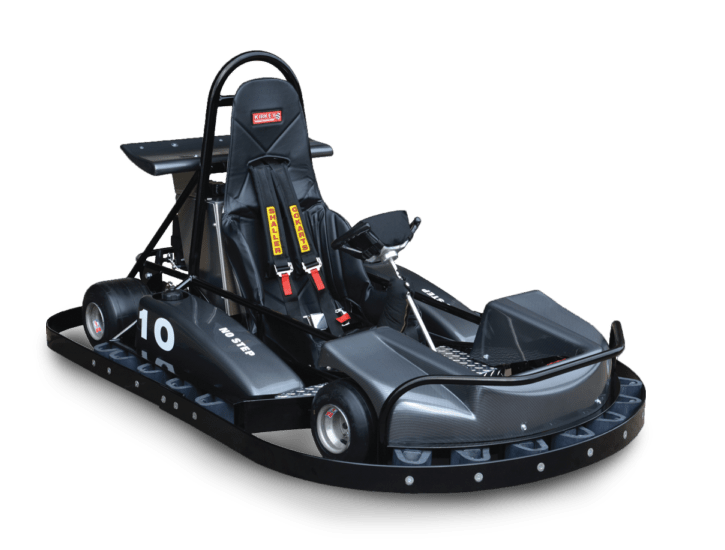 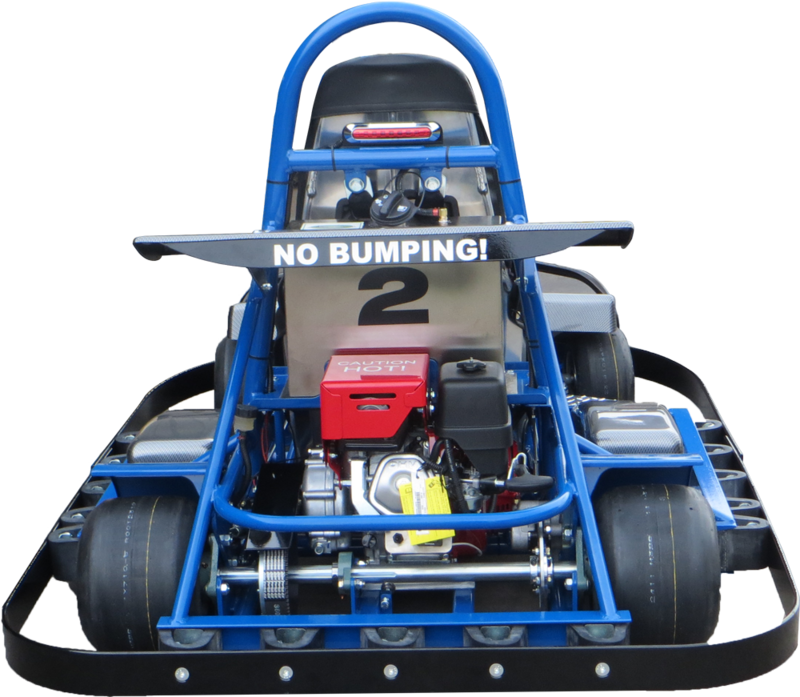 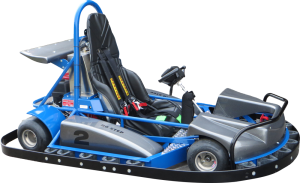 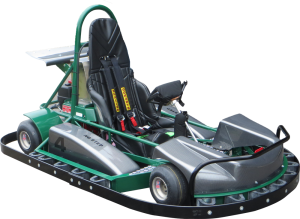 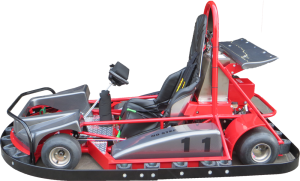 The Slick Track Kart is engineered to run on road courses, ovals, and relatively flat smooth tracks. It runs with a GX 270 Honda 9HP motor with a silent muffler. The body is super durable and made of High Density Polyethylene (HDP). 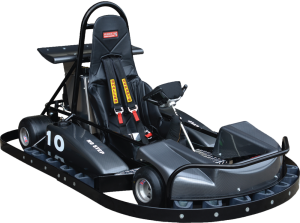 The Slick Track Kart is fun to ride that has the feel of real racing. Drivers must be 60” tall.